The Holiday update for Monster Hotel is here! To celebrate the arrival of the holiday season and to inaugurate the release of the latest version of Monster Hotel for Android, Iphone/iPad and the web, we've added in some new exclusive holiday content! All you have to do is update to the latest version and make your new guests welcome! The Christmas edition is here! Father Christmas is visiting hotels, but this year he's gone a little crazy. Literally. Make him happy and unlock exclusive Christmas decoration items! There's a new room available! The Decoration Recycler! The bug relating to the distribution of the daily rewards has been fixed. The pop-ups at the start of the game have been reorganised. Now they won't all come at once when you log in. The Bank now gives you an extra 5% gold on clients that you steal large amounts of money from. Not for the small amounts. New sounds have been added to certain actions. You can now accept all your friends gifts in one touch. You can now rate the app if you love it. On Android the back button now works as expected everywhere it should! Hooray! The bug relating to the decorations tutorial has been fixed. The bug relating to the generous VIPs has been fixed. 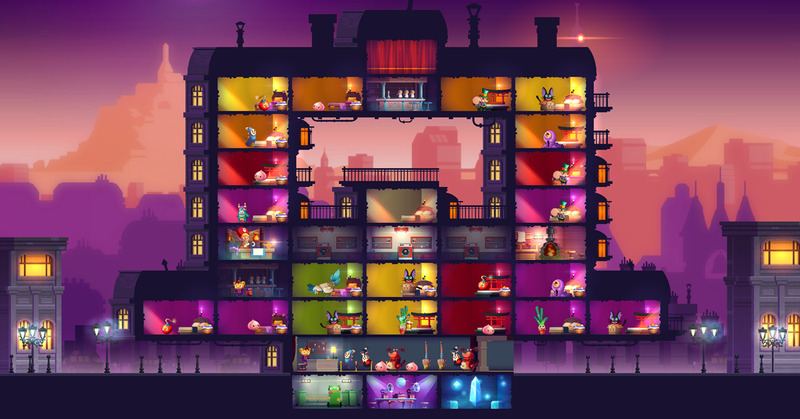 Check in for the launch of Monster Hotel! Welcome to Monster Hotel... Enjoy your stay.